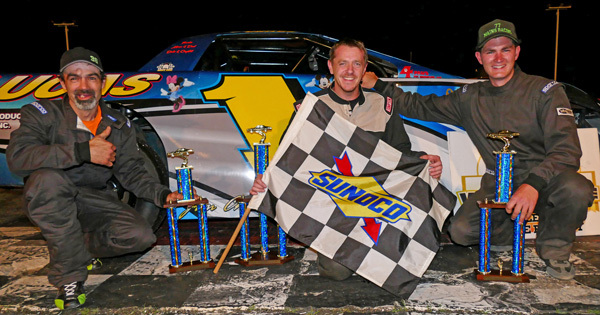 Oxford, Maine - TJ Brackett of Buckfield earned his first Budweiser Championship Series Super Late Model victory of the season in the 50-lap headline race at Oxford Plains Speedway on Saturday night. Brackett, wrecked by an errant lapped car when last seen leading the main event just a few days previous to this triumph, built a comfortable advantage in front of the field once past fellow former track champion Shawn Martin of Turner. Martin and the current championship points leader in the Super Late Model class, Alan Tardiff of Lyman, later squared off in an entertaining battle for runner-up honors, with Tardiff prevailing. Andy Saunders of Ellsworth again raced among the frontrunners throughout the race and earned a fourth-place finish. Windham's JT Thurlow had a strong run to claim the final top-five slot. Brad Babb, Kyle Treadwell, Dennis Spencer, Jr., Timmy Brackett and Alan Wilson rounded out the top ten. Martin and Thurlow were triumphant in 12-lap heat races. 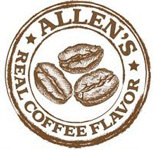 Billy Childs, Jr. of Leeds dominated the action in the Allen's Coffee Flavored Brandy Street Stock division. While Norway's Mark Turner did manage to outlast Childs in a 10-lap heat race, in the 30-lap finale the current championship points leader was on his game. Bryce Mains of Bridgton earned runner-up honors after a hard-fought battle with Lisbon's Rick Spaulding. Mains raced three-wide on the outside for two full laps to get into a position to duel with Spaulding in impressive fashion. Spaulding claimed the third-place trophy, with Matt Dufault of Turner and West Poland's David Whittier rounding out the top five. Auburn's Scott Jordan earned his first official victory of the year in a 20-lap main event for the Bandits division. Jordan held off last year's champion, Jamie Heath of Waterford, to stand atop the podium. Heath was lined up in sixteenth position on the starting grid. Oxford's own Chachi Hall, the current leader in the Bandits division's championship battle, padded that advantage with a third-place run. Adam Sanborn of West Paris and Auburn's Tyler Jalbert rounded out the top five. Sanborn and Eric Stoddard of South Paris won Bandits division heat races. Figure 8 championship points leader Tommy Tompkins of Carthage nailed down his fourth victory of the year in that division's 15-lap race. Lisbon's Dale Lawrence led until Tompkins took over and earned runner-up honors. Erik Hodgkins of Minot, the previous week's winner, rnded up wuth the third-place trophy. South Paris racers David Smith and Kyle Kilgore rounded out the top five. Arthur Hannaford of Hollis outgunned Bobby Symonds of Casco in an entertaining 20-lap race for the Wicked Good Vintage Racing Association Oultlaw class. That battle for the win was made possible by third-place finisher Sid Smith's spin. The Mount Vernon driver then made up more than half of his near-lap deficit to earn third-place honors. Freeport's Neil Martin dominated the Wicked Good Late Model 20-lapper, driving his 1965 Chevelle Albert Hammond tribute car. Hammond was a popular, multi-time Oxford Plains Speedway champion and Maine Racing Hall of Famer. Kevin Waterhouse of West Paris was second aboard a Studebaker, with Detroit's Dean Grant third in a 1955 Chevy. 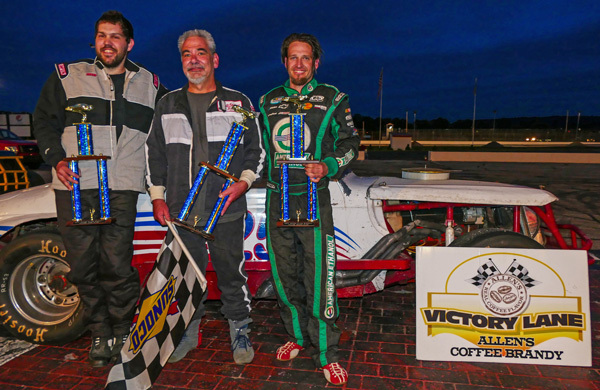 Hal Clark of Bridgton prevailed in a 15-lap race for the Wicked Good Hobby class. David West of Appleton bounced off a couple of rivals on his way to claiming runner-up honors. Caribou's Jesse Michaud was third. The Budweiser Championship Series continues Saturday, June 24 at 7:00 p.m., with the New England Classic Lites joining the weekly Budweiser Championship Series classes. Oxford Plains Speedway is located at 877 Main Street, on State Route 26 in Oxford, Maine. For more information, please visit oxfordplains.com or call (207) 539-8865. Budweiser Championship Series stock car racing results from Oxford Plains Speedway; Oxford, Maine; Saturday, June 17, 2017 showing finishing position, car number, driver's name, driver's hometown. Super Late Model (50 laps) 1 61 TJ Brackett, Buckfield; 2 9 Alan Tardiff, Lyman; 3 94 Shawn Martin, Turner; 4 01 Andy Saunders, Ellsworth; 5 9 JT Thurlow, Windham; 6 4 Brad Babb, Windham; 7 44 Kyle Treadwell, Buckfield; 8 46 Dennis Spencer, Jr., Oxford; 9 60 Tim Brackett, Buckfield; 10 53 Alan Wilson, Hebron; 11 0 Shane Green, South Paris; 12 8 Calvin Rose, Jr., Turner; 13 36 Ryan Robbins, Dixfield; 14 26 Sammy Gooden, Whitefield, NH; 15 3 Josh Childs, Oxford; 16 6 Travis Dunbar, Auburn. 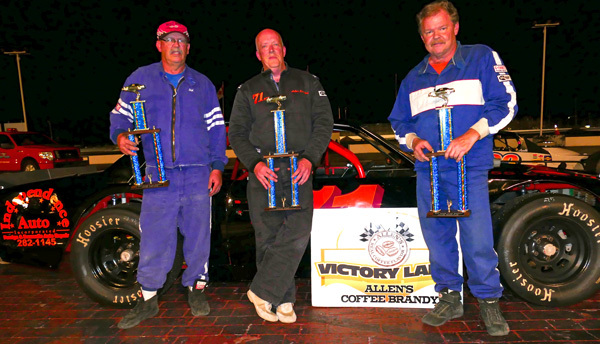 Allen's Coffee Flavored Brandy Street Stock (30 laps) 1 1 Billy Childs, Jr., Leeds; 2 77 Bryce Mains, Bridgton; 3 36 Richard Spaulding, Lisbon; 4 61 Matt Dufault, Turner; 5 58 David Whittier, West Poland; 6 4 Jordan Russell, Norway; 7 33 Andrew Breton, Greene; 8 2 John White III, Auburn; 9 09 Mark Turner, Norway; 10 14 Anthony Constantino, Sumner; 11 27 Patrick Thorne, Standish. Bandits (20 laps) 1 36 Scott Jordan, Auburn; 2 91 Jamie Heath, Wateford; 3 3 Chachi Hall, Oxford; 4 51 Adam Sanborn, West Paris; 5 04 Tyler Jalbert, Auburn; 6 1 Brandon Varney, Auburn; 7 95 Eric Stoddard, South Paris; 8 54 Chad Wills, Oxford; 9 8 Josh Knoll, Mechanic Falls; 10 39 Randy Henderson, Buckfield; 11 56 Addie McDaniel, Bridgton; 12 55 Dean Jordan, Jay; 13 68 Eric Parlin, Mechanic Falls; 14 44 Tyler Libby, Auburn; 15 5 Jake Hall, Oxford; 16 18 Brian Hiscock, Turner; 17 77 Rob Crepeau, Minot; 18 21 Marcus Palmer, Rumford; 19 2 Shaun Hinkley, Oxford; 20 4 Dave Brennan, Winthrop; 21 71 Chris Foster, Lisbon; 22 33 Matt Hiscock, Turner; 23 24 Travis Verrill, South Paris; DNS 26 Tyler Green, Turner; 11 Caleb Scribner, South Paris. 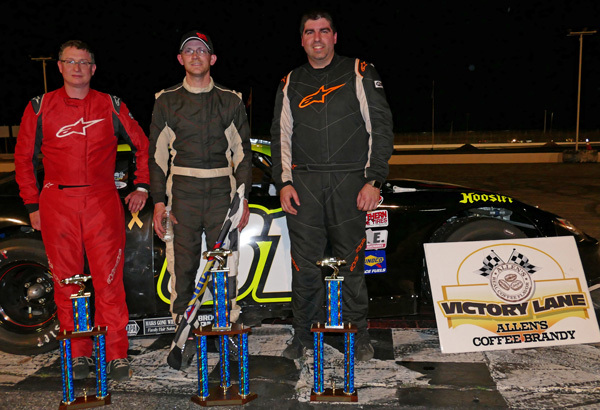 Figure 8 (15 laps) 1 113 Tommy Tompkins, Carthage; 2 2 Dale Lawrence, Lisbon; 3 97 Erik Hodgkins, Minot; 4 54 David Smith, South Paris; 5 4 Kyle Kilgore, South Paris; 6 41 Greg Durgin, South Paris; 7 40 Robert Morey, Lisbon; 8 07 Kyle Glover, Oxford. Wicked Good Vintage Race Car Association Outlaw (20 laps) 1 71 Arthur Hannaford, Hollis; 2 82 Bobby Symonds, Casco; 3 22 Sid Smith, Mount Vernon; 4 86 Bob Guyon, Wiscasset; DNS 75 Ryan Chadwick, Bristol. Wicked Good Vintage Race Car Association Late Model (20 laps) 1 1 Neil Martin, Freeport; 2 2 Kevin Waterhouse, West Paris; 3 0 Dean Grant, Detroit; 4 97 Brian Hughes, Otisfield; 5 22 Mark Hughes, Milton Mills, NH; 6 32 Jimmy Kinney, Warren. 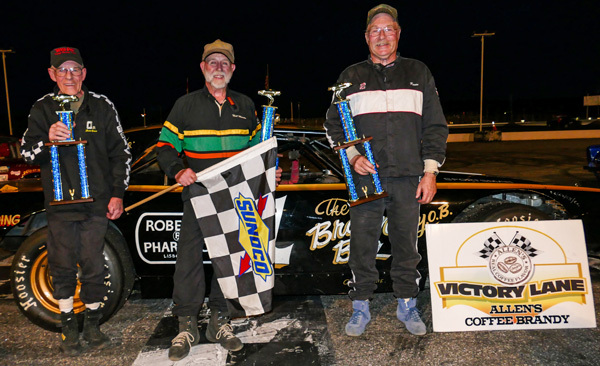 Wicked Good Vintage Race Car Association Hobby (15 laps) 1 25 Hal Clark, Bridgton; 2 M16 David West, Appleton; 3 08 Jesse Michaud, Caribou; 4 48 George Harding, Benton; 5 62 Alan Gassett, Saco; 6 7 Frank Finnegan, Lewiston; 8 P38 Mark Bowie, South Paris; 9 6 Marcia Barker, Orland.